OAK RIDGE, Tenn., Sept. 23, 2015 /PRNewswire/ — The U.S. Department of Energy’s Oak Ridge National Laboratory today unveiled a 3D-printed building designed by the architecture, engineering and urban planning firm Skidmore, Owings & Merrill LLP (SOM) in collaboration with ORNL researchers. 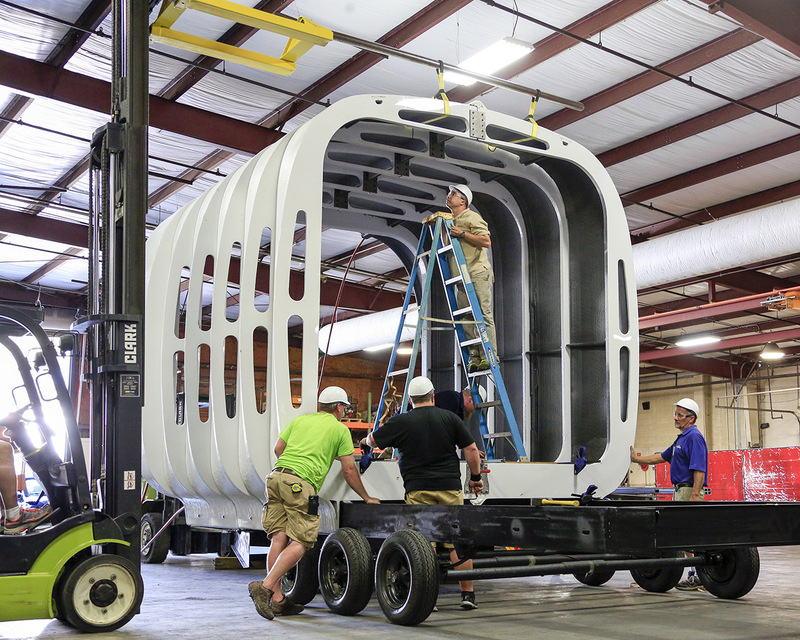 The Additive Manufacturing Integrated Energy (AMIE) demonstration features a building that is powered by a 3D-printed vehicle developed by ORNL. 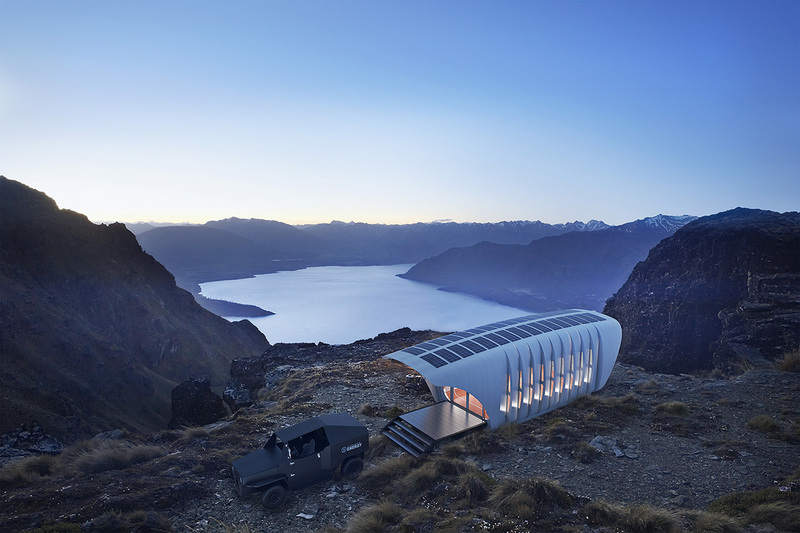 The mobile power source combined with the structure’s highly energy-efficient design and rooftop renewable energy photovoltaics showcase possibilities for future off-the-grid human shelter. The demonstration that was rolled out at DOE’s inaugural Industry Day event is the result of a targeted collaboration between government and industry. Innovative rapid prototyping took the project from concept to completion in less than one year, involving the University of Tennessee (UT), Clayton Homes, General Electric, Alcoa, NanoPore and Tru-Design in addition to SOM. AMIE is an outcome of the UT-ORNL Governor’s Chair for Energy + Urbanism collaboration, a five-year research exploration in science and design involving ORNL, SOM and the university’s College of Architecture and Design. This pioneering effort seeks to identify and develop innovative strategies for achieving a sustainable balance between the world’s rapidly growing cities, their energy demands, and the natural environment. 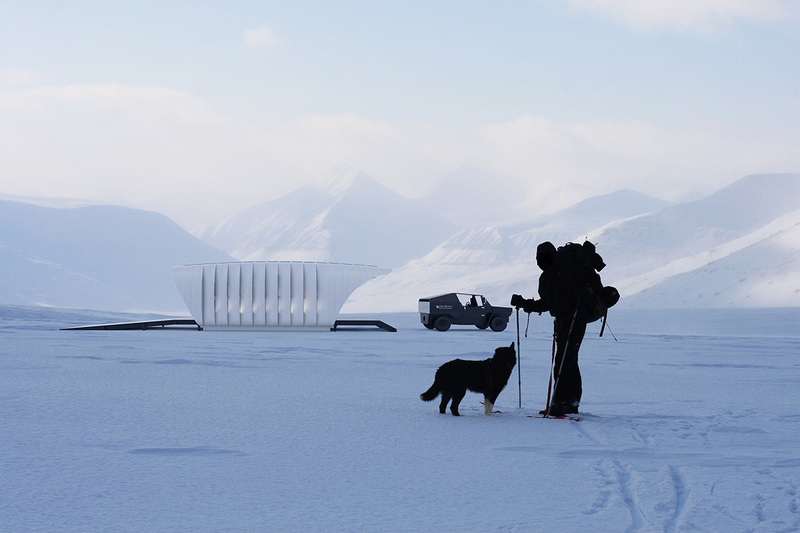 Through the integration of scientific knowledge and high-performance architectural design, the AMIE building explores the potential for a 3D-printed enclosure to condense the many functions of a conventional wall system into an integrated shell – structure, insulation, air and moisture barriers, and exterior cladding. This could lead to zero-waste construction, reduced material consumption and buildings that can be ground up and reprinted for new forms and uses. The SOM team has shown how 3D printing can allow for complex, organic geometries that are optimized to reduce localized stress and mitigate turbulent exterior air flow. The 38x12x13-foot structure constructed of printed C-shape forms is post-tensioned with steel rods that reinforce the weak axis of the printed material. The additive-manufacturing enclosure was designed to resist lateral and live loads consistent with building codes. Full scale load testing was undertaken to confirm the performance of the structure. The 3D printed structure’s high level of insulated solid surfaces (79%) to glazed areas (21%) results in an efficient energy-conserving enclosure. The panels’ interior ribs are designed to host atmospherically insulated panels (AIP), vacuum-wrapped panels for the greatest thermal barrier in the least amount of space. Flexible photovoltaic panels are integrated into the roof form and supplement the vehicle energy source. Its photovoltaics (PV) will work in tandem with a natural gas powered generator located in the DOE-created vehicle, to supply energy for lighting and the GE-developed central microkitchen that incorporates advanced digital display screens, inductive cooking surfaces, waste-filtering faucet and sinks, and an under-counter refrigerator. The PV will charge the enclosure’s battery when the fixtures are not in use. ORNL’s 3D-printed personal vehicle connects to the structure and its battery to provide supplementary power. AMIE demonstrates the use of bi-directional wireless energy technology and high-performance materials to achieve independence from the power grid at peak-demand times. “The innovation consortium is an excellent example of design, government, science, the university and multiple industry partners working together to push the limits of building technology and high-performance design to solve some of the world’s most urgent issues in energy and urbanism,” said Philip Enquist, the fourteenth Governor’s Chair and the SOM partner heading its global city design practice. The Governor’s Chair collaboration has also engaged Brian Lee, SOM Design Partner, and Keith Boswell, SOM Technical Partner. AMIE is the result of a unique creative partnership of science and design. The breakthrough embodies ORNL materials science, 3D printing leadership and additive manufacturing capability combined with SOM multi-disciplinary building design, integrated-systems innovation and project delivery experience.